Belinelli struggled from the field, this after going scoreless in each of his last two appearances. With the playoffs on the horizon, Belinelli will need to get it together soon or else he could continue to receive limited minutes (earned less than 20 minutes in each of the last three games). Belinelli missed Friday's game against Washington due to experiencing soreness in his left hip prior to tip-off but appears to be all ready to return to the court Sunday. Belinelli is currently averaging 10.7 points and 2.5 rebounds this season with two games left to play in the regular season. Left hip soreness prevented Belinelli from playing during Friday's win over the Wizards. If he's out again Sunday, he'll have just one more chance to take the court during the regular season. 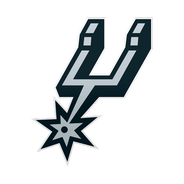 Belinelli popped up on the injury report Thursday with left hip soreness, and the Spurs will give the veteran shooting guard the night off as a result. Belinelli's absence likely won't have too large of an impact on the team's rotation, but could mean more minutes for Bryn Forbes at shooting guard and even more usage off the bench for Patty Mills. 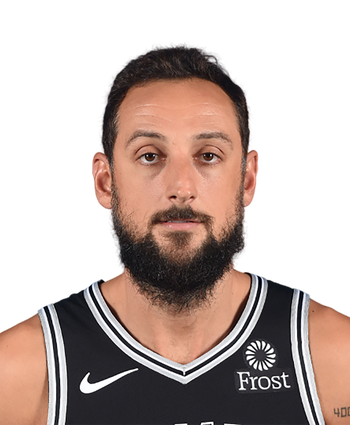 Belinelli is questionable for Friday's game against the Wizards due to left hip soreness, Jeff Garcia of News 4 San Antonio reports. Belinelli played just 15 minutes during Wednesday's loss to the Nuggets, and it appears he's still dealing with some soreness. If he does miss Friday's game, it would mark just his third absence of the year.